To most Americans, Frank Hamer is known only as the villain of the 1967 film Bonnie and Clyde. 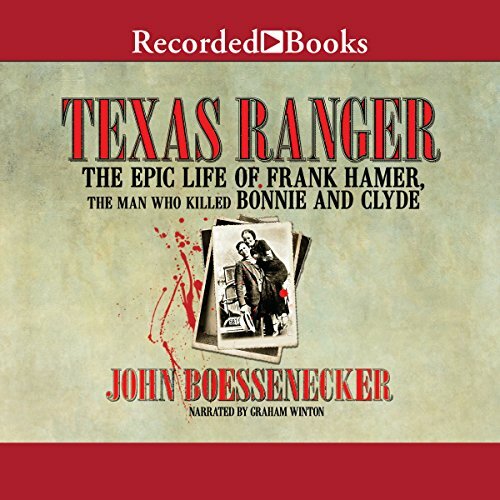 Now, in Texas Ranger, historian John Boessenecker sets out to restore Hamer's good name and prove that he was in fact a classic American hero. From the horseback days of the Old West through the gangster days of the 1930s, Hamer stood on the front lines of some of the most important and exciting periods in American history. 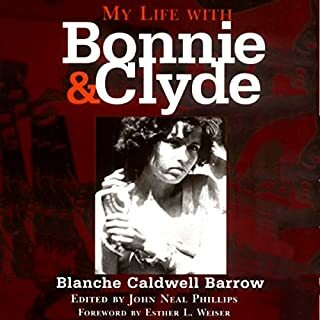 He participated in the Bandit War of 1915, survived the climactic gunfight in the last blood feud of the Old West, battled the Mexican Revolution's spillover across the border, protected African Americans from lynch mobs and the Ku Klux Klan, and ran down gangsters, bootleggers, and Communists. When at last his career came to an end, it was only when he ran up against another legendary Texan: Lyndon B. Johnson. I loved the book and the narration wasn't bad, but there were a few things that did annoy me. The author is not from Texas and it shows. There were many instances where the author referred to Texas towns (like Bryan) as being in East Texas. Bryan is not in East Texas. Houston is not in East Texas. I know those are little details, but they're simple details that could be gained by just looking at a map or asking any Texan in the area. Aside from that, I really did enjoy the book. but remarkable man. No need to look for a cinematic Clint Eastwood as Frank Hamer was clearly the real deal. Boessenecker tells a great story, but mars the overall presentation with incessant value judgements regarding race, politics and personality...the most egregious example terming Hamer’s failure to prevent Lyndon Johnson’s theft of the 1948 Senate Race as his “greatest success.” Really? He would do better to leave those fragments of Divine Augury in the pundit pile. 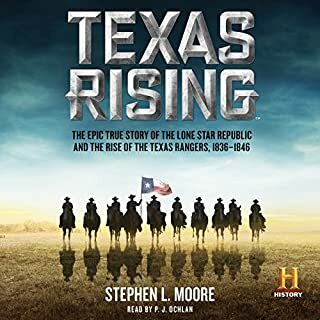 Finally, although the narrator did a good enough job, with fully half my family from the Lone Star State, I didn’t recognize a credible Texas inflection in the entire reading. Those tepid criticisms aside, this is a very worthwhile book about a lawman with honor, integrity and a determination to be fair to all people - regardless of race - as it demonstrates Andrew Jackson’s maxim “one man with courage constitutes a majority. 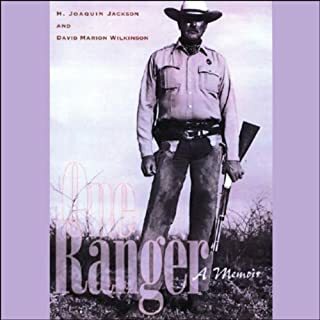 What a great book about an American hero and the transition as a lawman into the 20th century. Why haven't a heard about this guy? Though he wasn't perfect, he had a high sense of duty and morals. As a lawman, he sacrificed a lot and was unselfish. Maybe the reason we haven't heard of him is that he wasn't a self promoter and didn't like the limelight and couldn't stand the press. Great historical book. Great narration. If you are looking for a book that worships a man whether he does bad things, or good things, then this book is for you. 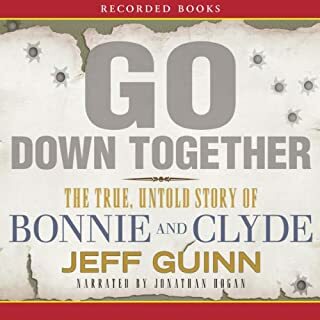 In one chapter you hear a puff piece about how Hamer, the man with “oak-like thighs” subdues someone by hitting him over the head with his gun - repeatedly. In the next chapter you hear a story of how Hamer was a calm man who would never do something like that - and that his mere presence would bring peace to a lawless community. Yet you’ve already heard that he was criminally charged for excessive force. The author appears to have an unwavering obsession with Hamer, that boarders on love. The story is told in a manner that reminds one of the crush a starry-eyed school girl would have on the football quarterback. If you love cops, especially cow-boy style Texas Ranger cops; if you watch movies like Dirty Harry, and believe that the best cops operate the way he does; if you go through life asking people, “do you feel lucky, punk” just before you shoot them in the head; then this book is for you! 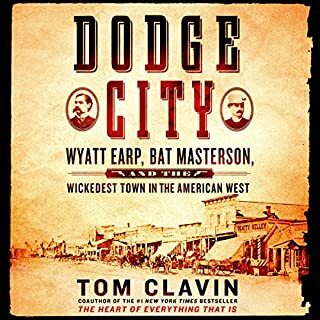 This is a novel, whose main character is the fictionalized version of Frank Hamer - or, as the author calls him, “The Greatest Lawman of the Twentieth Century”. If you’d like a fact-based, unbiased biography, then you will be terribly disappointed. I know I was. I love Frank Hamer, but Boessenecker's left leaning bias is a little too much for a good biography. The best biography I have read to date. Honest, well researched, and entertaining. This was a great look at the life of Frank Hamer. I'll read the book. The audio isn't good enough for the car. It was just not good audio, the narrator was fine. Love it, and the narrator was perfect for the story. 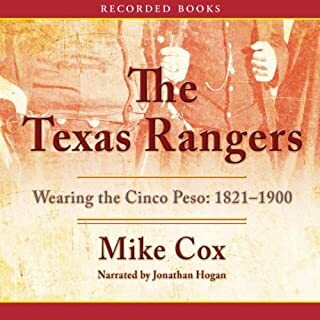 I highly recommend this to anyone with an interest in Texas History or Law Enforcement History. As a retired Texas peace officer, I enjoyed this book. The writer did his research well giving a lot of detail.